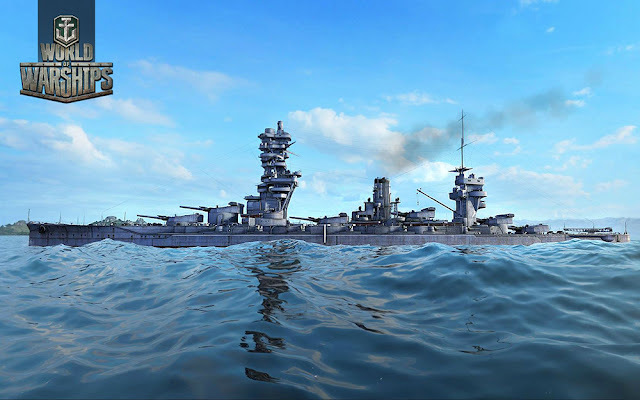 Or: How The Fuso Battleship Went From Horrible to Awesome! 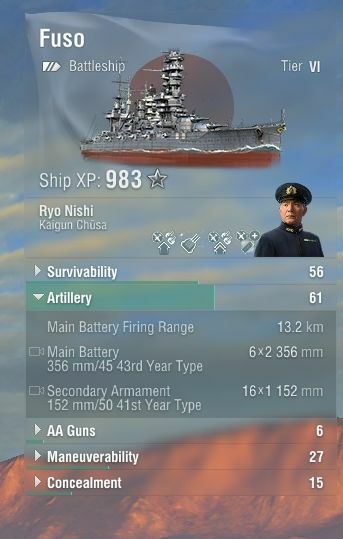 Last week I said goodbye to the stellar tier V IJN Kongo battleship and moved into the tier VI Fuso battleship... and was promptly left aghast. In my first battle I looked at a target in binocular mode and was floored when I saw my range of my artillery was only 13 km. 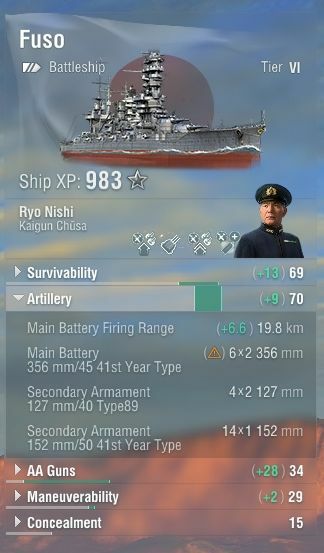 This was a huge shock after the Kongo with its almost 20km range plus the boost from a scout plane to get me to around 24 km. 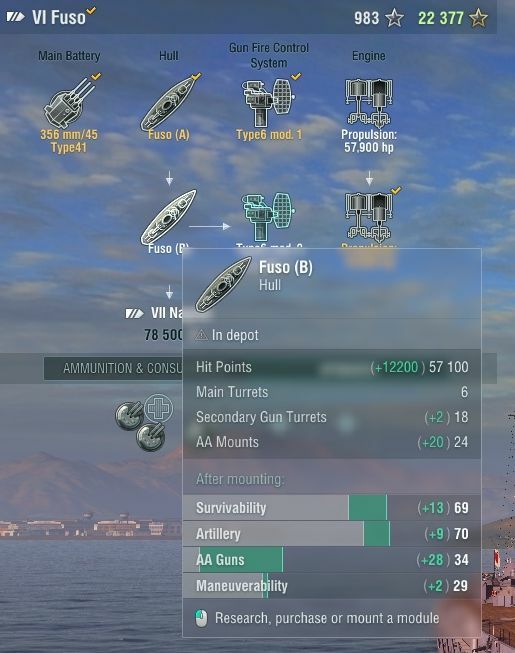 Turns out the stock Fuso has range worse than the tier IV Myogi. 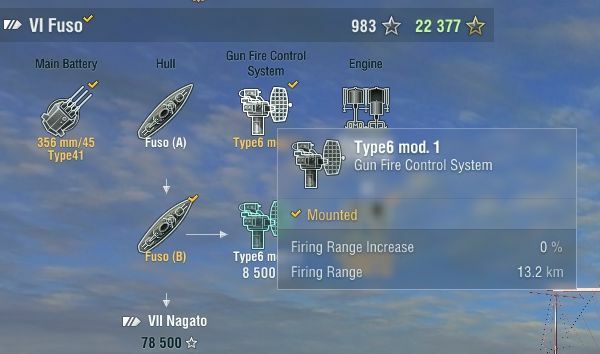 If you look at the ship's modules and hover over the Fire Control System, you see its firing range is 13.2 km, and if you work your way up to the second Fire Control System, it gets a slight improvement to 14.5 km. 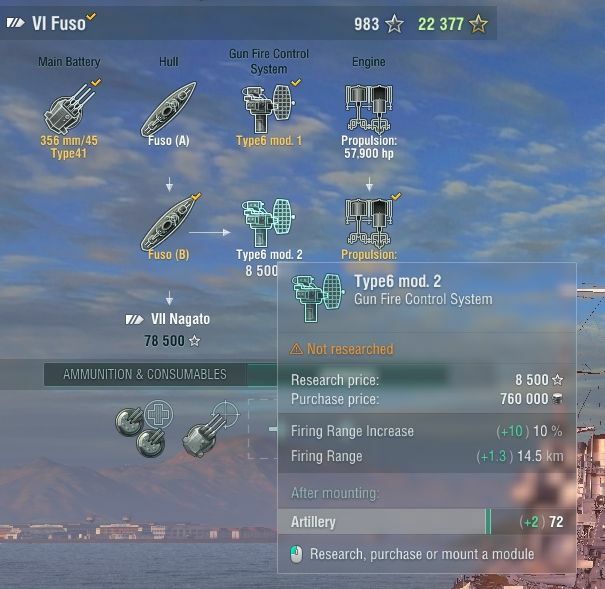 I resigned myself to being a short range brawler and started working on the experience for the second hull of the Fuso and last night I got. I strapped myself in, got in a match, and WHOA! Almost 19km range?!?! HOW?! Yep, slated for October if the news is to be believed, and the sister BB Tripitz is rumoured to be the tier VIII Premium ship.